Fleas are small, about 2.5mm long. Their bodies are shiny and reddish in colour. Fleas are a wingless insect that travel from one place to another by jumping. They can in fact jump as high as 8" vertically. Fleas are a parasitic insect and live on the exterior of their host. They feed exclusively on the blood of mammals and birds. The most common species is the cat flea which can feed on cats, dogs and humans. 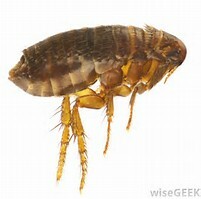 Fleas depend on a blood meal from a host to survive, so most fleas are introduced to the home via pets or other mammal hosts. 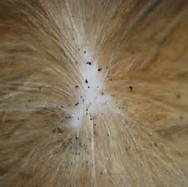 Fleas are relatively easy to see in their adult stage and are usually easy to locate. They can be seen feeding on the skin of pets and often jumping on to a human host from carpets and soft furnishings. Flea eggs, larvae and pupae, however, are much harder to see. These stages are much more secretive and far less active and are found behind and under furniture, pet bedding, inside cracks and crevices and in carpets. Pets may be repeatedly scratching and grooming themselves. This is caused by the discomfort of the flea activity as the adult fleas feed on the pets blood. Bites to humans can also be an indicator to flea activity. Areas bitten can be very itchy and extremely uncomfortable. Flea dirt may also be present. 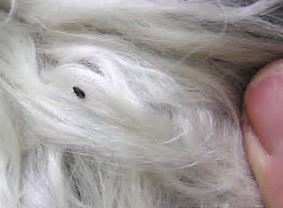 Adult flea faeces resembles coarse ground black pepper and may be seen in pet bedding, carpets, rugs and other areas where the host rests. Why do I have a flea infestation? Fleas can jump from host to host and are usually carried into the home via pets and other mammals including rats and mice. As these insects are so tiny they are able to hide well between the fur and skin, making detection very difficult. Due to the rapid rate of reproduction flea infestation can occur at an alarming rate. How serious is a flea infestation? An adult female that has consumed a full blood meal will begin to produce between 20 and 30 eggs per day. Under ideal conditions it is possible for her to produce between 2000 and 8000 eggs during her lifetime. With their rapid rate of reproduction a flea infestation can very quickly become a serious problem. 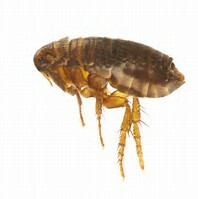 Fleas can transmit a number of diseases to both humans and animals. 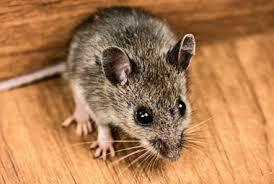 These include Murine Typhus, and Mycoplasma Haemofelis. Fleas are also known to carry tapeworm. These loathsome parasites make themselves at home in the intestines of dogs, cats and humans. 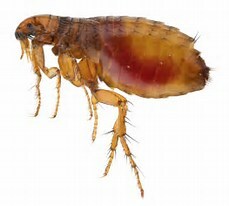 Flea bites can cause irritation of the skin and infection can occur if individuals fail to keep the bites clean and disinfected. Can I treat a flea infestation myself? 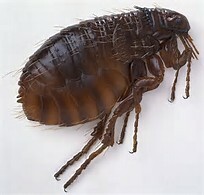 Treating a flea infestation is very difficult to the untrained individual and if not completed thoroughly will result in the infestation returning. The most realistic answer for how to get rid of fleas, is to contact a professional pest control company that has the knowledge and experience in pest control for fleas. It is also important to seek veterinary advice to enable treatment of any pets correctly and safely. 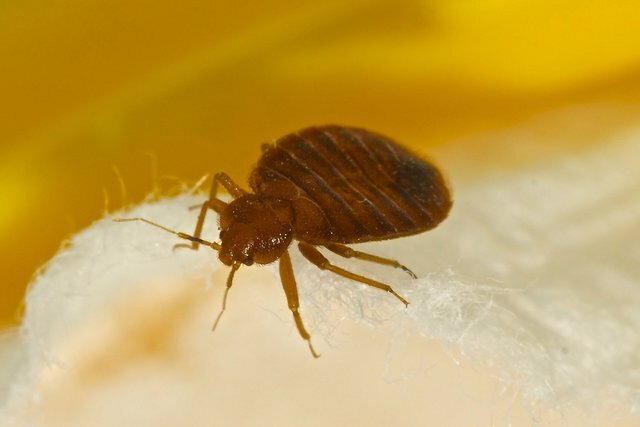 Although there are products available to the general public, a professional pest control service will have access to licensed products specifically formulated for pest control for fleas which are far more effective. Our professional pest control technician will examine your property including carpets, soft furnishings and pet bedding. On completion of the inspection and an assessment of the situation, the technician will recommend the best cause of treatment to get rid of fleas. Our technician will use the best tools and professional use products to resolve the flea problem safely, ensuring peace of mind for you and your family or business. Our technician will carry out a follow up visit to ensure effectiveness of the treatment. All we ask is for you to ensure that all floor covering has been vacuumed thoroughly and rooms at risk of infestation are free of clutter. After the initial treatment has been completed we will ask you to not vacuum for at least 10 days. On confirming the second appointment all we ask is that again the rooms are vacuumed thoroughly and after the second treatment has taken place not to vacuum for at least 10 days afterwards. If these steps are not followed correctly you risk further flea infestation to your property.